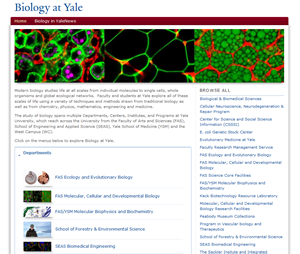 Designed and built a scalable and easy-to-navigate portal for all Biology-related websites at Yale within the University’s Drupal 7 environment. Coordinated with staff at the Office of the Provost. Customized Drupal views, css, and content types.